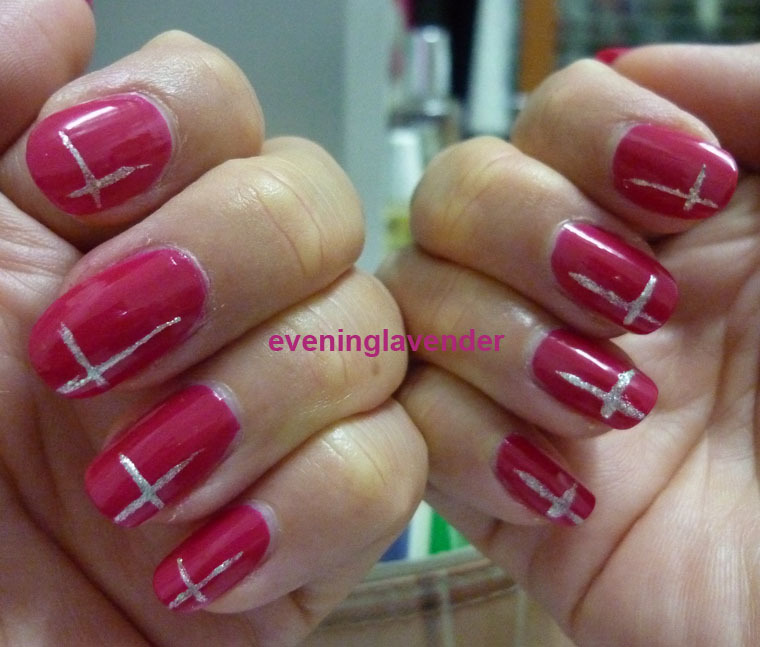 If you are celebrating Easter this coming Sunday 24 Apr 2011, I would love to show you a nail art design that is for that special occasion. 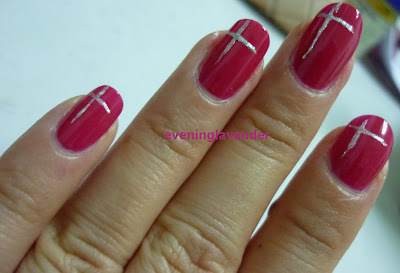 I used the silver nail art pen to draw a cross symbol against a dark pink nail polish. 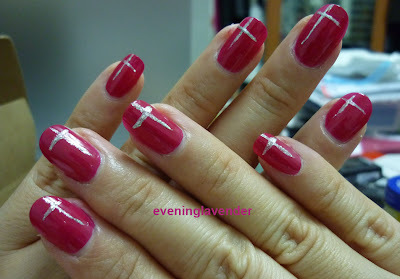 The dark pink symbolises the blood of Jesus Christ shed on the cross on Good Friday and the silver cross symbolises the victory of the risen Christ on Easter Sunday! If you are celebrating Easter, I wish you a Happy Easter and may the Good Lord bless you and keep you! Thanks Michelle & Xin! happy Easter!